Bass guitars provide the rhythm for many types of music including rock, pop, blues, and jazz music. 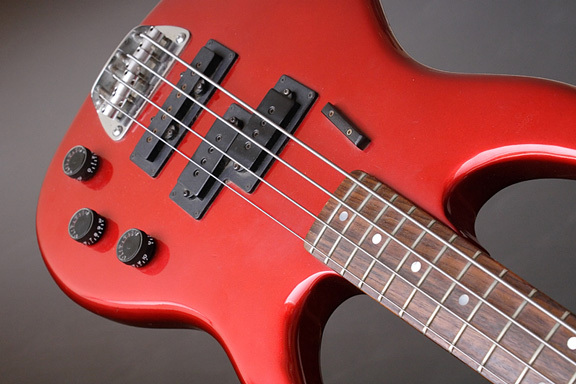 This artistic image of a red bass guitar showcases the fretboard with four strings, magnetic pickups, and a wooden neck. Four-stringed basses are commonly used for most types of music.